Hominy is a food made from kernels of corn. The kernels are soaked in an alkali solution of either lime (the mineral, not the fruit) or lye, which is a process called nixtamalization. The corrosive nature of the solution removes the hull and germ of the corn and causes the grain itself to puff up to about twice its normal size. Hominy can be made with either white or yellow corn. Specifically, hominy is made from maize, which is also called field corn. This type of corn is used in making cornmeal, corn flakes, and other grain products as opposed to sweet corn, which is the well-known vegetable that can be eaten on the cob. 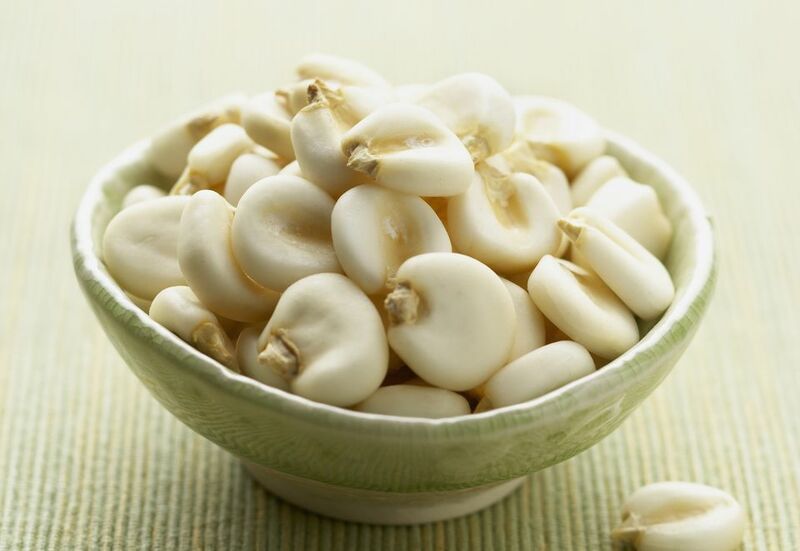 Hominy is the essential ingredient in such staples as grits and corn tortillas. Nixtamalization is a word derived from the Nahuatl language spoken by the pre-Columbian people of Mesoamerica who invented this process of soaking corn in an alkaline solution. While nixtamalization can be done at home, it can be quite time-consuming and does require lime, which is a caustic ingredient. Nixtamalization produces a number of changes in the corn. One of the most significant changes is that the structure of the proteins and carbohydrates in the corn are altered, allowing the ground grain to stick together when combined with water. The process removes the husks of the corn, making it easier to grind. The resulting dough, or masa, is what tortillas are made of. Without nixtamalization, the ground corn would not form a dough and thus tortillas (and tortilla chips, and tamales, and taquerias) would not exist! The dough can be combined to form new flavor compounds as well as shapes, which is is why grits often have a more complex taste than polenta. Another benefit of nixtamalization is that it frees the niacin (vitamin B3) in the corn and allows it to be absorbed by human digestive tracts. In this way, nixtamalization unlocked a source of essential nutrients, allowing early Mesoamerican civilization to cook with the sustaining masa and thrive. Hominy is available in dried and canned form. Preparing dried hominy requires soaking the grains for about eight hours and then simmering for an additional hour or two. Dried and ground up nixtamalized hominy can be simmered to make grits (also called hominy grits). Alternately, the processed hominy can be cooked until soft and then used as a thickening agent in soups, stews, and casseroles. For example, posole is a traditional Mexican soup made with hominy. Canned hominy has already been cooked and is ready to use, making it a good time saver, although the texture will be slightly different. The starch in the kernels of the corn swells and takes on a uniquely gelatinous texture, which is most prominent when the hominy is eaten whole as opposed to ground up. When cooking with hominy, be sure to note if the recipe calls for dried or canned hominy since soaking dried hominy requires up to 12 hours to prepare.